Its Star Treks 50th Anniversary so you'll be sure to have something to enjoy with STAR TREK BEYOND. You might say this is Chekov's last stand in this adventurous new Star Trek movie. The action sequences are thrilling and the visual effects are stunning. So go see Beyond you'll be delighted that you did. 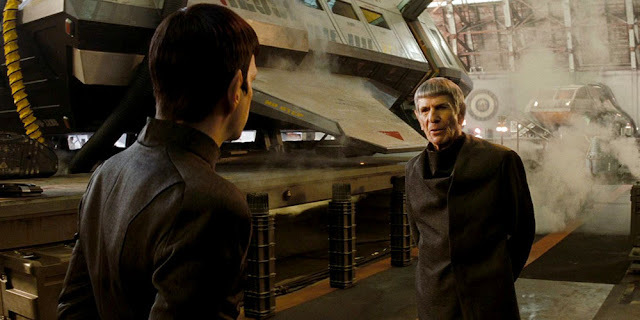 Its got a cold hearted villain Krall who chews up the landscape and interesting to see new Spock trying to understand his own death in the movie- in loving memory of Leonard Nimoy and for Anton. 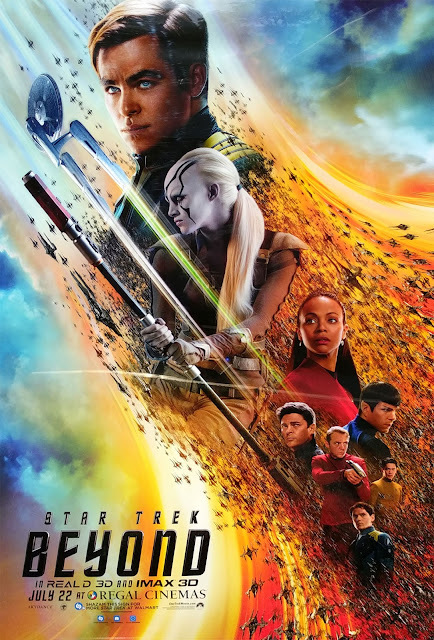 I bought my Star Trek Beyond ticket today to see the entire crew of the USS Enterprise NCC 1701 in action. Today Star Trek premieres in the United States and Ireland and while this is a celebration of the movie and Star Trek's 50th anniversary, during the week special attention was made in particular to honor Anton Yelchin (Chekov) our good friend, companion and guide. So many have mourned the loss of this kind soul. 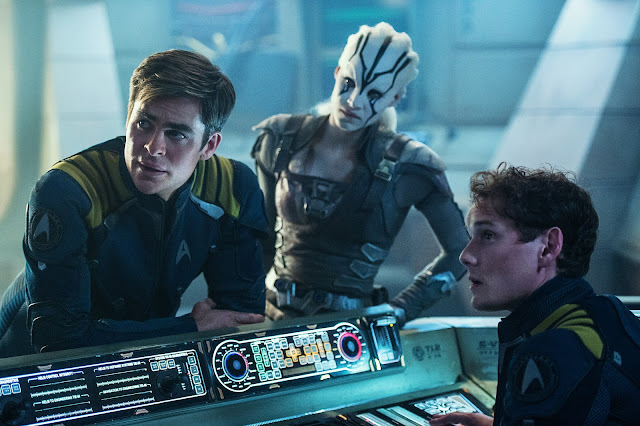 J J Abrams said at a San Diego Comic Con on Wednesday "Anton Yelchin should be here," Abrams continued. "Anton's parents are here - Irina and Victor. We love their son, and if I could ask everyone to have a moment of silence for our dear friend Anton." J.J. Abrams words say it all in this video. 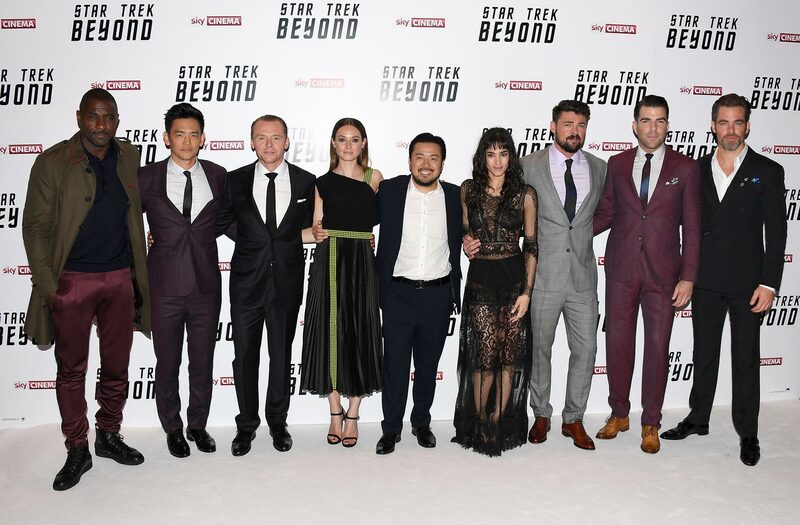 Its been a busy week for Sci-Fi with Star Trek Beyond showing in London last week and Sydney too. I'm not counting my tribbles yet before they become fully gorged but STB is 90% on Rotten Tomatoes and 71% on Metacritic so far. So now Star Trek Beyond is set for US release on the 22nd of July 2016 and is opening up in theaters worldwide and beyond. 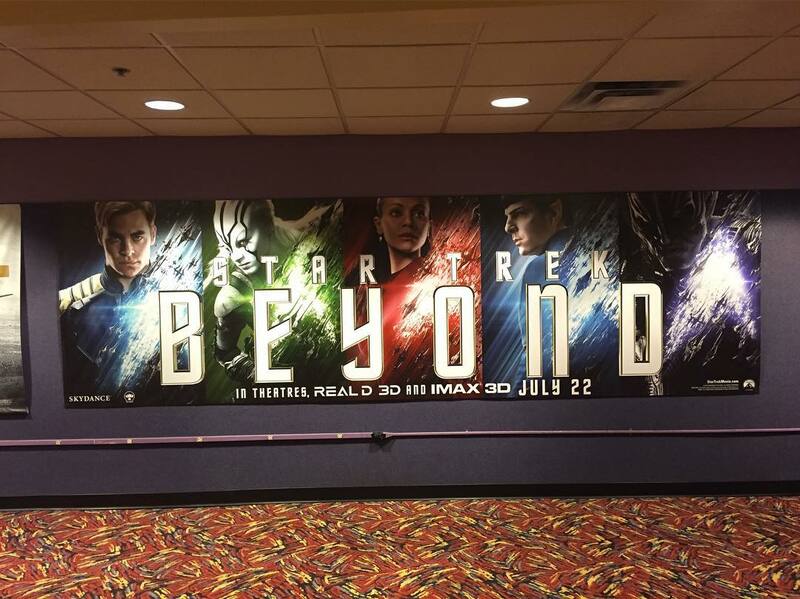 We've been waiting for 3 sensational years to see a new STAR TREK movie since STID. How long is that? Approx 1095 days. 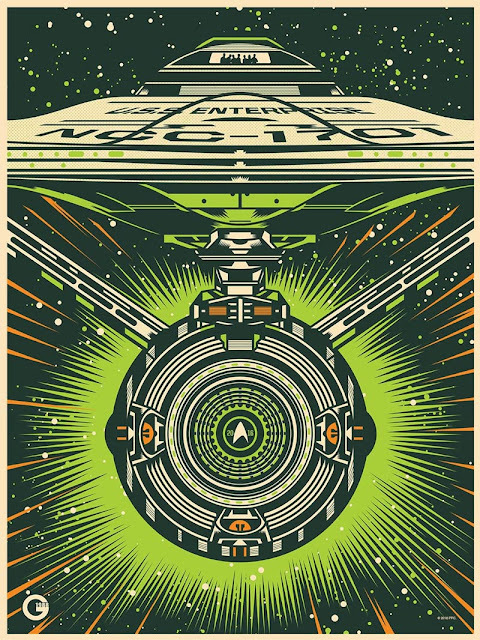 I hope you're all set for a trektastic time! The question in my mind is: why did Captain Kirk wreck the bl**dy ship again? Is it really the Captain's fault the Enterprise got ravaged by alien "Swarms" with their leader "Krall at the heart of the matter? Word has it Idris Elba's character means business because he wants the "ITEM", badly. Ahhha! I hear you ask. What is the item? 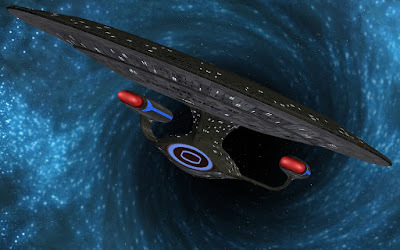 SPOILER ALERT: So now the five year mission for the USS Enterprise NCC 1701 is finally justified when the crew discover this ancient "death machine" in the furthest reaches of unexplored space. But do they know what it is? 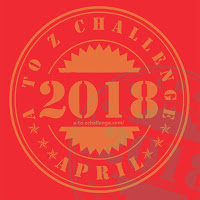 It seems time is running out for our Gallant Crew and worse still for the Federation itself. Unity and Peace in the Galaxy may very well depend upon our friends very survival. 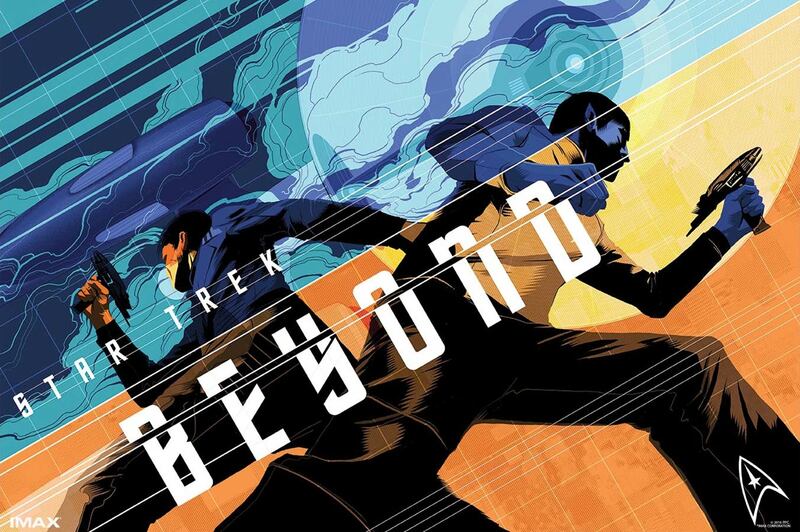 Three years into the Enterprise's five-year deep-space mission our mysterious Swarm ringleader Krall (Idris Elba) sees an opportunity. 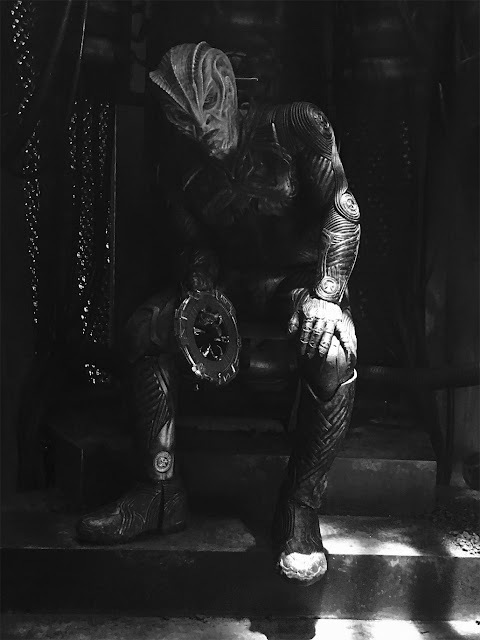 He has to get the ancient "death machine" of ultimate power, an artifact which Kirk's crew are custodians. I know what your thinking - its looking hopeless because the Enterprise crew are stranded on an alien planet!!! Hey. At least Scotty teams up with feisty Jaylah (Sofia Boutella), a potential love interest if only he'd stop calling her lassie. 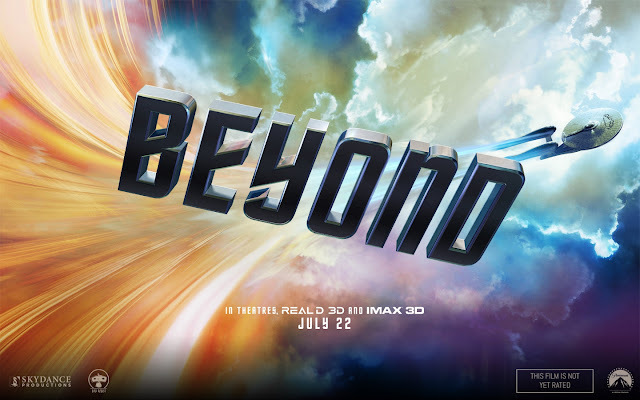 The good news is Paramounts 3D and; 2D Star Trek threequel is directed by (Fast and Furious) Justin Lin (produced by J.J. Abrams) How many of our movie predictions will come true? 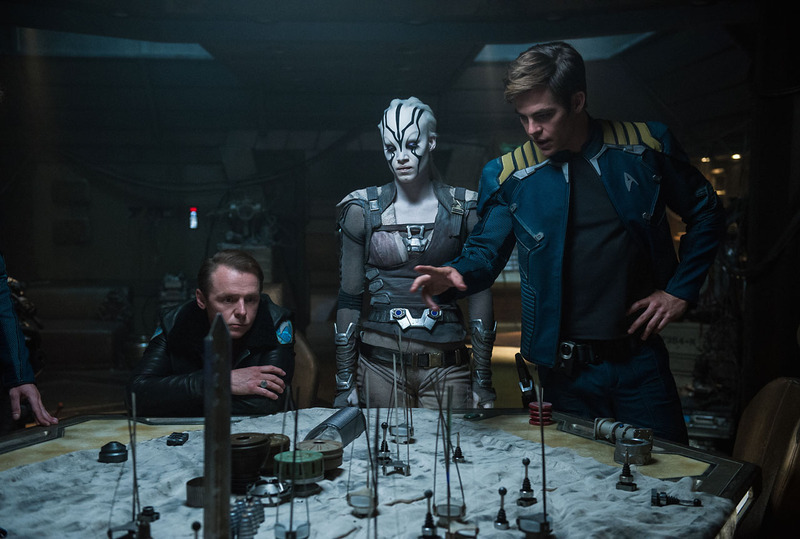 40 stunt people is a good indication of where Star Trek Beyond is headed with special effects and alien relationships evolving with this interstellar space adventure. 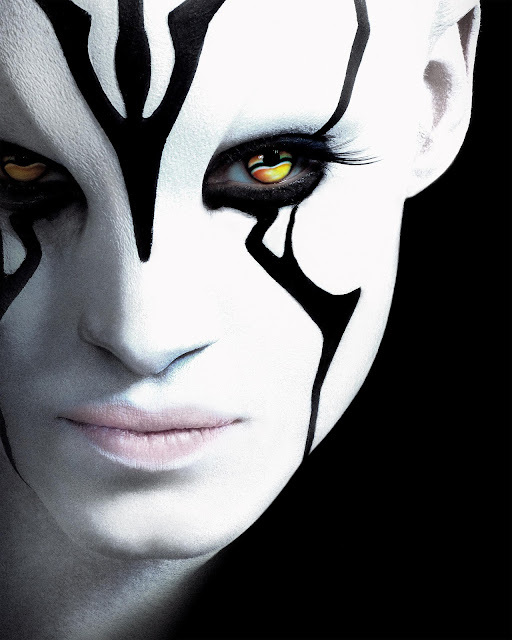 Curiously Star Trek Into Darkness had 90 reinforcements. Why is Uhura screaming with the grey alien looking on? 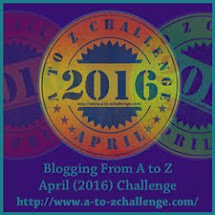 MattTwentySix had this to say: It's a little Insurrection-ish once they're planet- side. There's another major twist with the villain (though I enjoyed it). But it gets the characters really right. 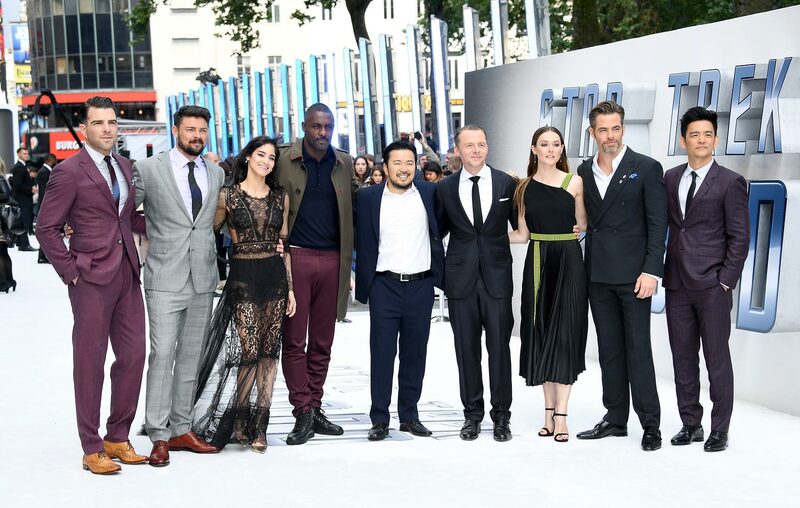 It basically has a fantastic first act, an okay second act, and a fun ending that both serves as an ending to this cast and a jump-start to further adventures with them. 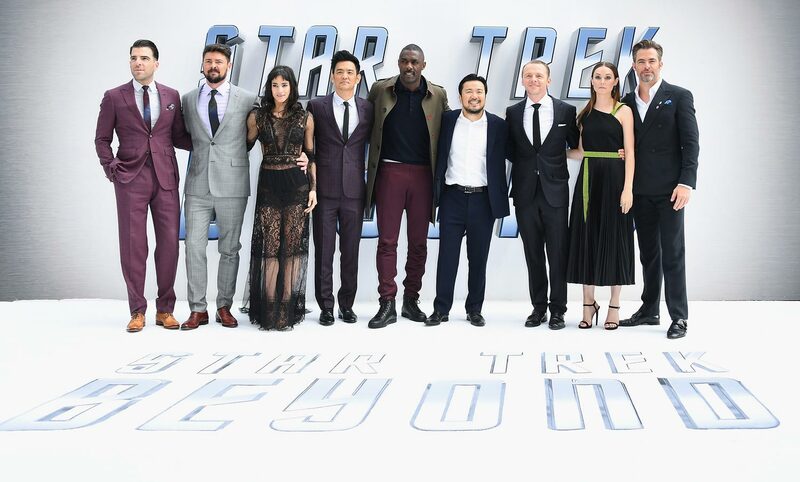 Star Trek Beyond kicked off for its UK debut in London Monday last with British Star Trek fans squealing in delight and super sci-fi fans flying in from across the waters to see their Star Trek heroes at Leicester Square. Trekcore have an awesome gallery of 65 STB Premiere shots taken from the July 12th seen here.. You can watch the white carpet extravaganza for STB's British Premiere for fun - here. Were you in the audience? It seems Krall is ready to unleash his burning hatred upon the Federation for reasons not yet known except for a "GLOWING GREEN ARTIFACT" as the only clue and guess where it is? 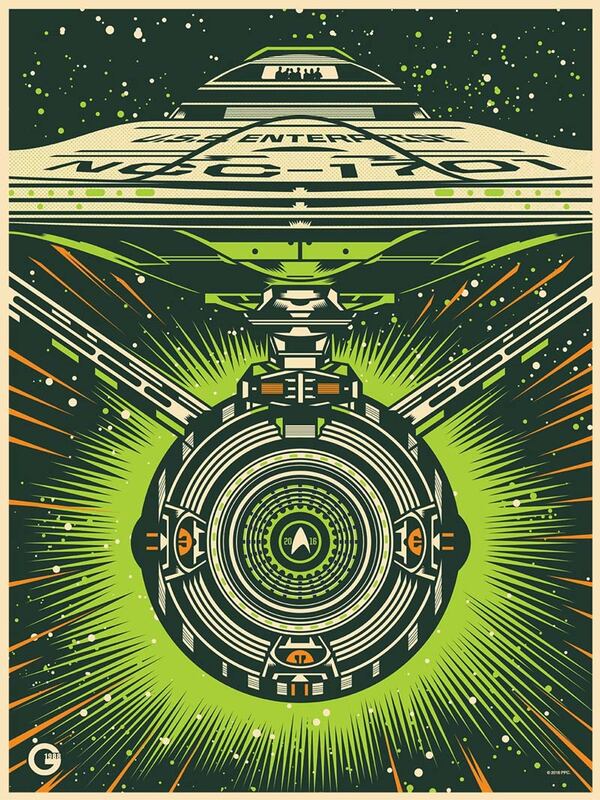 So now we guess why the swarm ships attack the USS Enterprise NCC 1701. 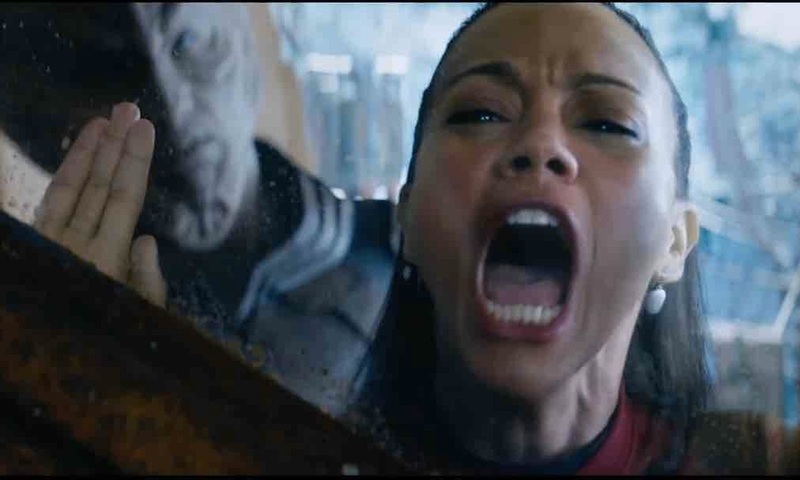 Star Trek Beyond Trailer #3 Rihanna "Sledgehammer." Heres the third major Star Trek Beyond trailer by Director Justin Lin.. Hes the real deal with Star Wars Director JJ Abrams producing Star Trek Beyond. 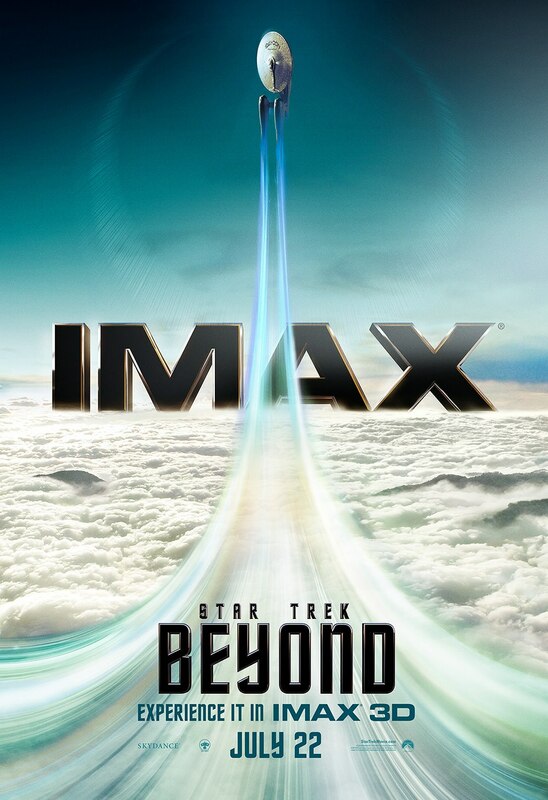 So now this trekkie blockbuster is set to hit movie theaters in REAL 3D and IMAX 3D for 22nd July. However the sudden death of Anton Yelchin has affected everyone who knew the poor lad at home and abroad. 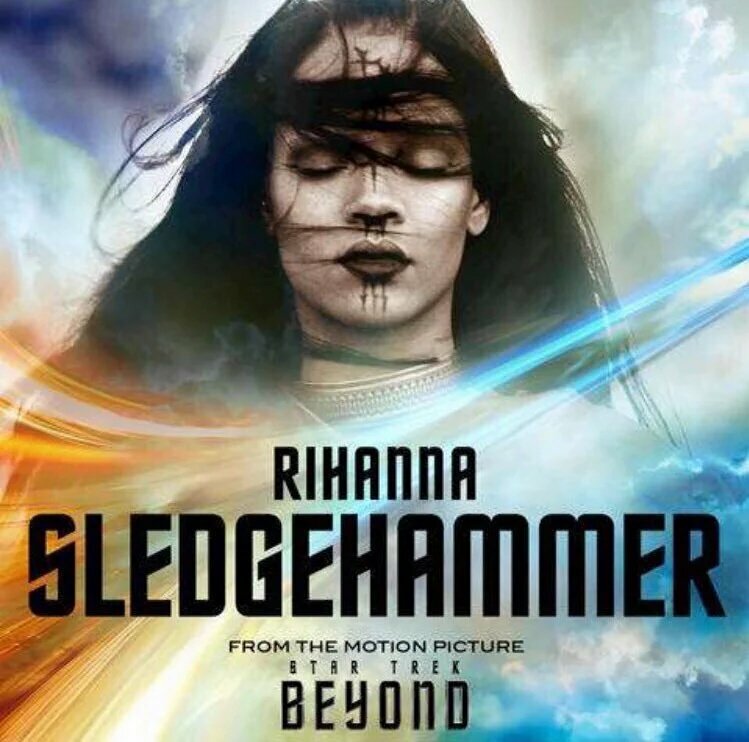 Trailer #3 features a striking song by Barbadian music artist Robyn Rihanna Fenty with "Sledgehammer"
Shes one of the more popular songwriters/singers on the face of the planet with sales exceeding 200 million records worldwide. Robyn is big Star Trek news and has a beautiful voice. So now here she is giving her song to Star Trek Beyond. 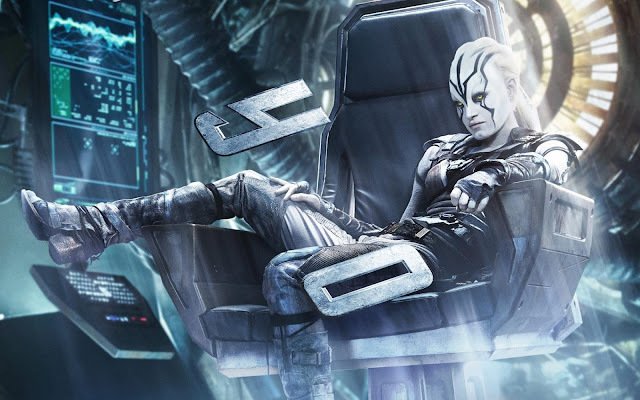 You guys will just have to watch the movie to enjoy her music which is remarkable and operatic enough to give the Enterprise crew all the punch they deserve. "I hit a wall"
Will Rihanna's voice steal the show? 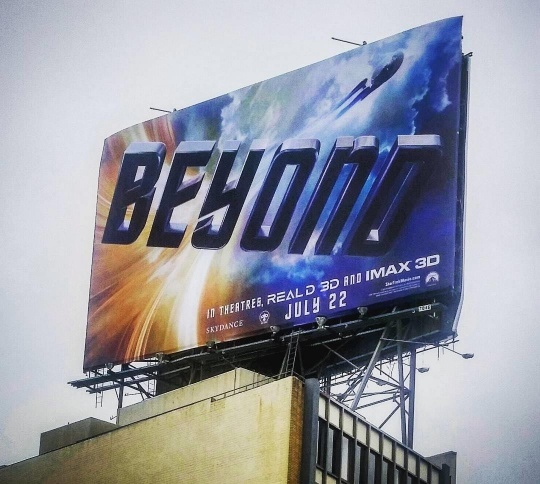 or will Director Justin Lin win the audience over with his fast and furious moves in Star Trek Beyond?